The perfect spot does it all; be it romance or your router! To avail the best signal and network connectivity, make sure you keep your router visibly and not facing the wall or behind the curtains. If you want the best signal, you’ll need it out in the open, free of any walls and obstructions. And make sure the router is positioned in a central spot of the house. Auto channels might fail you once in a while; believe that you’re smarter than the Dlink router! Find a seamless wireless channel instead of what the router finds automatically. This would ensure that your signal does not interfere with that of your neighbors. 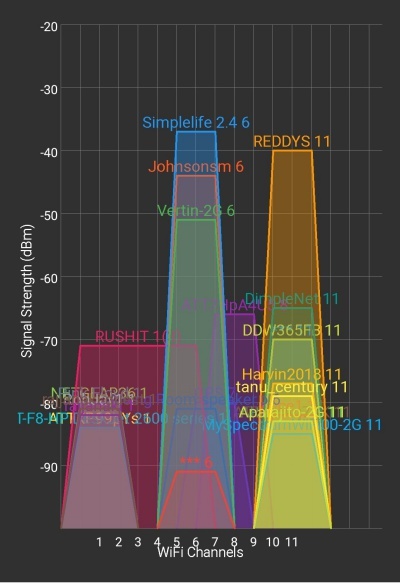 If you’re running a Windows-based PC, you can see what channels neighboring Wi-Fi networks are using. Gaming consoles/media streamers work better when connected through Ethernet cable of the router; in fact, as you might not be moving your TV all over the house, why connect it to the Wi-Fi at all? The gaming consoles/video streaming devices flood the network with data. This means that if possible, you should consider hardwiring (using Ethernet cable) the devices that tend to consume a lot of bandwidth. Although this can sort of defeat the purpose of having a wireless network, it can actually help the overall network speed of your router if you can hardwire the bandwidth hogs. 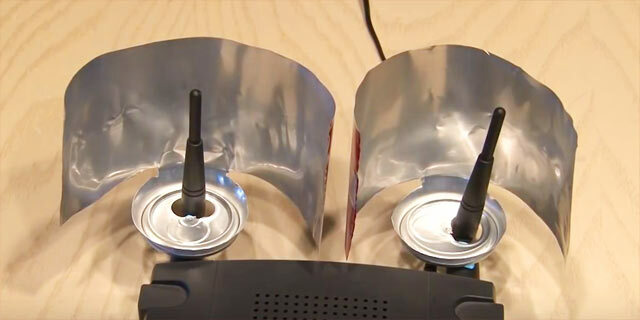 You can increase the range of your router by wrapping up the antennas with a beer can as shown in the above picture. It may not be a nitro boost, but a slight increase in coverage doesn't hurt either.